Great Flemish Idea: Put a Convicted Boy Molester Back in a Parish Filled with Young Men! Bishop Jozef De Kesel [of Bruges, Flanders, Belgium] has assigned a priest, who has been found guilty of at least one case of molesting a minor in the past, to the parish federation in Middelkerke, halfway between Ostend and Nieuwpoort on the Belgian coast. 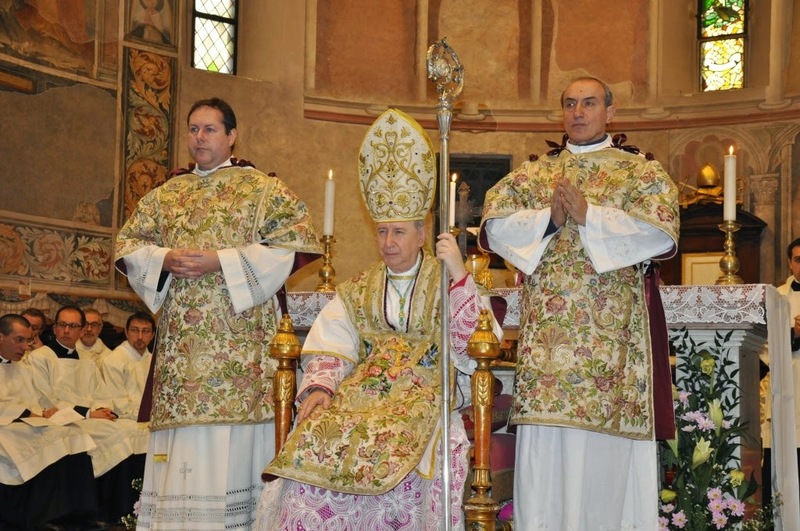 In a notification dated October 14 of this year, Bishop Marcello Semeraro, Ordinary of the Diocese of Albano Laziale (Italy), made particularly odious statements about the Society of St. Pius X, for the purpose of keeping the faithful away from Masses celebrated by our Society and from the religious instruction given to young people, declaring that the Society was not “an institution of the Catholic Church”. Event Reminder: Don't Forget, Kasper's coming to Washington, and "all are invited"! We cannot believe this wondrous event is almost here! How blessed Washington is to receive this theological giant of mercy, who truly is a light-bearer. A reminder: Next Thursday, November 6, Walter Cardinal Kasper will receive a prestigious award from the Catholic University of America's theology school, delivering a lecture there on the "theological background of the ecclesiological and ecumenical vision of Pope Francis." Established in 1985 as the only academic award given by The Catholic University of America’s School of Theology and Religious Studies, the Quasten Medal is named after the Rev. Johannes Quasten, a professor of religious studies who taught at CUA for more than 30 years until his retirement in 1979. Our friends at Angelus Press have sent along two items for us to share: their beautiful 2015 liturgical calendar and their new traditional Catholic trivia game. All talk of "poverty" and "humility" from the highest echelons of the Church must be dismissed as the irrelevant talk it is until the greatest money-related scandal in the Church, the German Kirchensteuer (Church Tax) system remains in place. 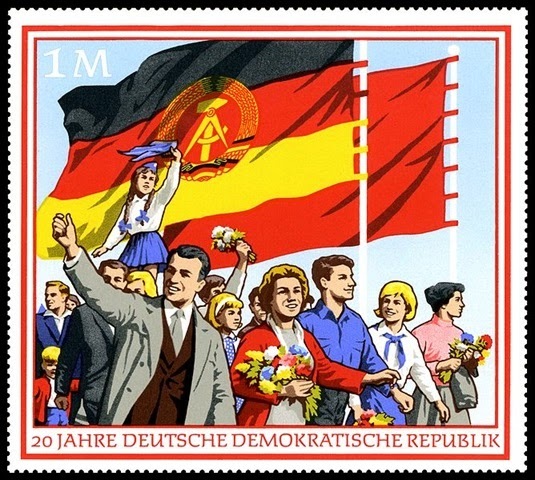 No item is more single-handedly responsible for instability in the Church today than the Simoniacal Church Tax, which both renders "excommunicates" those German Catholics who refuse to pay it and makes the German Hierarchy use their immense wealth and financial resources as a tool of subversion and blackmail of the whole Universal Church. A system that has emptied the Church in Germany at the same time as its wealth becomes a tumor threatening the health of the whole Church. When a Pope dismantles or at least decides on an overhaul of the Kirchensteuer system in Germany (and elsewhere where it works in the exact same simoniacal way), then all the talk of poverty will at last become believable. 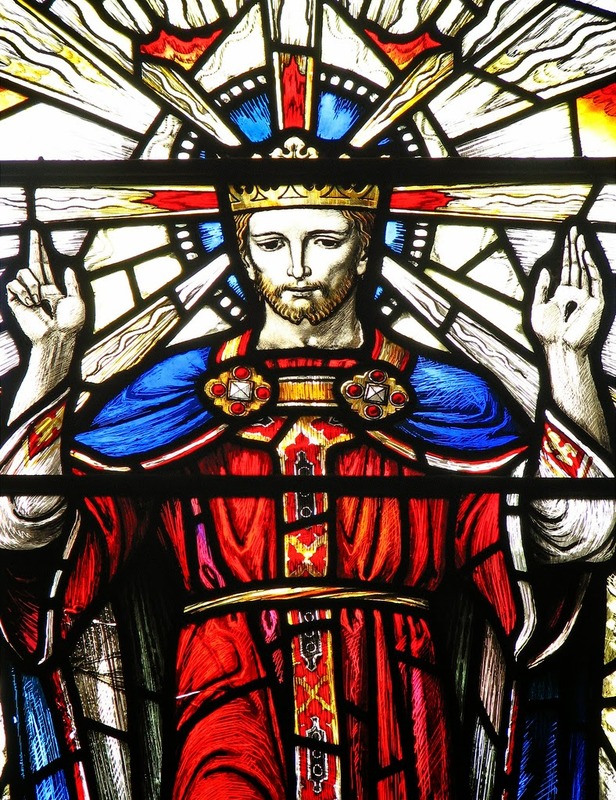 The feast of Christ the King was of course celebrated this past Sunday, 26 October, using the 1962 calendar for the traditional Latin Mass, moved to November at the novus ordo liturgy. This coming Sunday, 2 November, will be another example of stark contrasts in calendars, colors and logic, when the novus ordo commemorates All Souls' Day on Sunday, while the 1962 calendar for the traditional Latin Mass retains the long-standing custom of separating feasting and mourning. 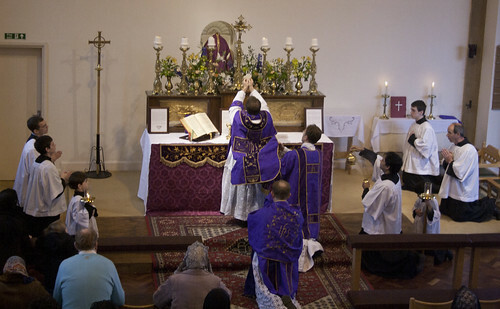 The Foederatio Internationalis Una Voce (FIUV), the world-wide federation of lay groups attached to the Traditional Mass, has since 2012 been publishing short 'Position Papers' on specific aspects of the 1962 Missal, particularly those which might seem puzzling and in need of an explanation to those not familiar with the Extraordinary Form, and those which might be thought to be candidates for reform in the ongoing development of the Extraordinary Form envisaged at the time of the motu proprio Summorum Pontificum in 2007. The full series can be seen here. After a pause in the series over the Summer (the last one was about the Kiss of Peace), I am pleased to present a new Position Paper, number 20, on aspects of the Calendar of the Extraordinary Form: Septuagesima, Vigils, and Octaves. As we all know Septuagesima, the season of three Sundays leading up to Ash Wednesday, does not exist in the Ordinary Form, and this is one of the most noticeable conflicts between the two calendars in parishes where both Forms are celebrated. Septuagesima continued to be observed by Anglicans after the Reformation, and forms part of the Calendar of the Ordinariate. I've added some more commentary on the issues involved here. was Fr Angel Alfaro, FSSP, normally based in Columbia. The recent session of the Synod on the Family has been likened not a few times by commentators as an attempt at a mini-Vatican III. And this appellation has some validity, for the past year or more has seen the re-appearance of such personages as Hans Küng (albeit not in vigorous form), Gustavo Gutierrez, and, at least in spirit, Karl Rahner, and, in the flesh, the indefagitable Cardinal Kasper, all examples of those who seemed to be disappointed that Vatican III did not follow closely after Vatican II to accomplish unfinished business: to get the Church firmly on the same tracks as the choo-choo train of post-Enlightenment, modern, and post-modern secularism, whose fuel is anti-dogmatism and radical individualism. The fifth unmanned supply vehicle of the European Space Agency, launched this year, was named after a Catholic priest, Belgian Monsignor Georges Lemaître, one of the greatest cosmologists in history. This very interesting ESA video explains why, and includes uncommon footage of the Monsignor explaining his idea of the "primeval Atom". 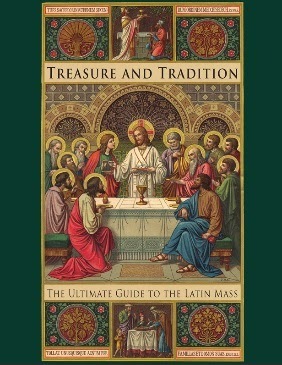 Rorate book review: "Treasure & Tradition: The Ultimate Guide to the Latin Mass"
Once in a while, Rorate reviews books, calendars and other items for our readers we believe will be beneficial to them or their families, helping them grow in the Faith. 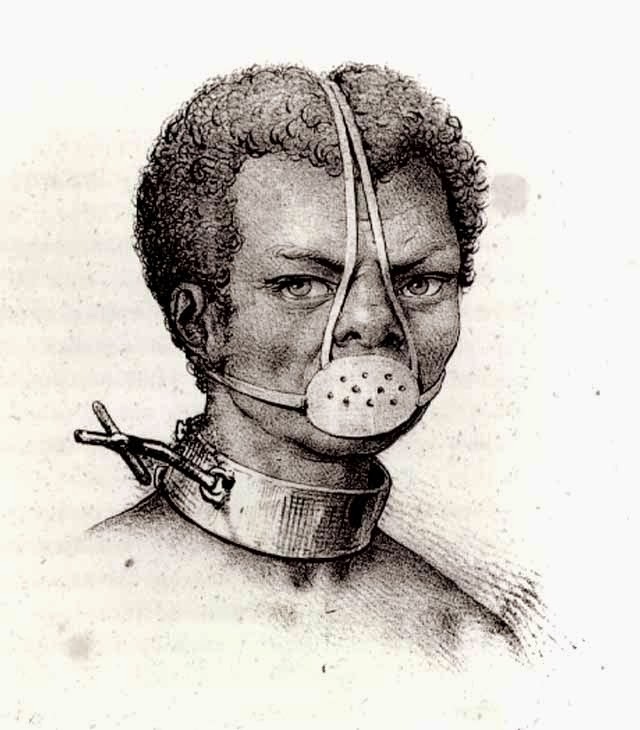 We receive no compensation for this -- ever. 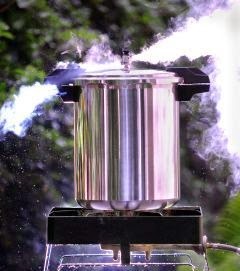 We do it only as an act of charity, the same reason for which we take the time to run this blog. We have never received payment for these reviews nor have we ever ran advertisements or accepted the numerous and generous offers of donations or stipends. 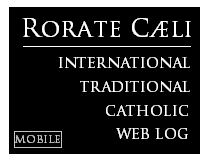 Labels: "God of Surprises", Pope's Privy Council, SSPX under Pope Francis, The Bergoglio Pontificate, The New "Mercy"
Professor Roberto de Mattei recently wrote about the recent synod's "arduous battle" of conservatives versus liberals, and Cardinal Burke observed Pope Francis has "done a lot of harm" by not saying "openly what his position is" during the synod. After over a year and a half, conservatives are increasingly fighting back against the obvious shift under the current papacy. Benedict XVI has not spoken or written much since February 2013, with two notable exceptions this month, reported by Rorate here and here. 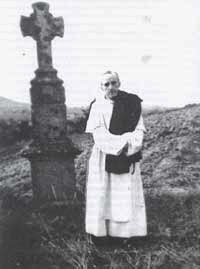 The 10 October letter speaks of his life as a "cloistered monk." What does it really mean to be the in the Church? Our friends at The Remnant have produced their latest video delving into -- among other things -- what it really means to be a member of the Church Militant (Ecclesia militans, one of three traditional divisions of the Church, along with the Church Triumphant in Heaven and the Church Penitent in purgatory) and how difficult being part of what they call the "loyal opposition" is these days. Surely this is the most important conversation in the history of this world. More important than any of Plato’s dialogues, more important than Augustine’s dialogue with God and himself in the Confessions, yes, more important than Hamlet’s soliloquy that is a dialogue with his silent audience, and yes, even more important than presidential press conferences. I would like to in the first place express my heartfelt thanks to the Rector and to the academic authorities of the Pontifical Urbaniana University, to the staff and to the student representatives, for their proposal to name the rebuilt Aula Magna [Main Hall] in my honor. I would like to thank in a special way the Chancellor of the University, Cardinal Fernando Filoni, for having organized this initiative. It is a cause of great joy for me to be able in this way to be always present amidst the work of the Pontifical Urbaniana University. A traditional Latin High Mass will be celebrated on October 31 at 5:30 PM at St. John the Apostle Catholic Church in Bloomington, Indiana, an anticipated Mass for the Feast of All Saints. Music (consisting primarily of Gregorian chant as well as two polyphonic motets) will be provided by the Bloomington area Schola Gregoriana, composed primarily of students at Indiana University's award-winning Jacobs School of Music, which is on par with Juilliard and Eastman. The Mass will be followed by an All Saints Day party, complete with food, games, and a costume contest for children (who are asked to come dressed as saints, not as monsters or superheroes!). The Next Steps between the Holy See and the Society of Saint Pius X (SSPX) - Full Interview with Abp. Guido Pozzo. The interview was granted days ago by the Secretary of the Pontifical Commission Ecclesia Dei, Abp. Guido Pozzo, to Jean-Marie Dumont, of French magazine Famille Chrétienne, and made available on October 20, 2015. It is published as one of the main articles of the issue of this Saturday, October 25. The Society of Saint Pius X: Where are we now? 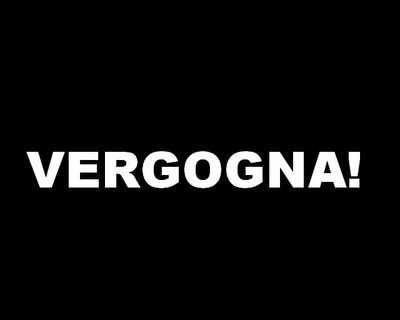 Several different Italian (and non-Italian) papers have reported on an upcoming intervention that would impair the governance of Bp. Mario Oliveri, of Albenga-Imperia, generally considered a conservative and friend of Traditional practices. 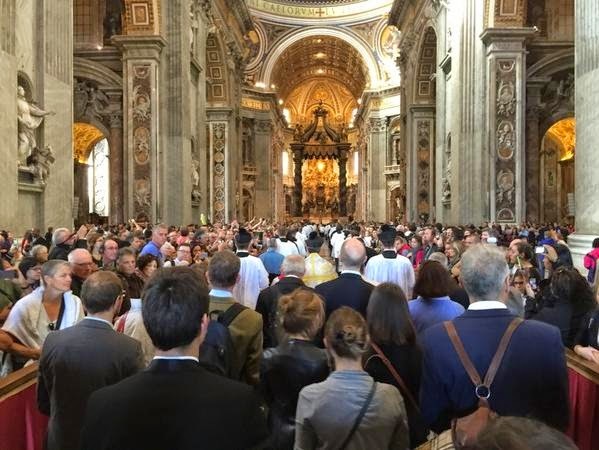 How to follow the Summorum Pontificum Pilgrimage in Rome? You can also use their hashtag to find pilgrims posting images and news on Twitter. 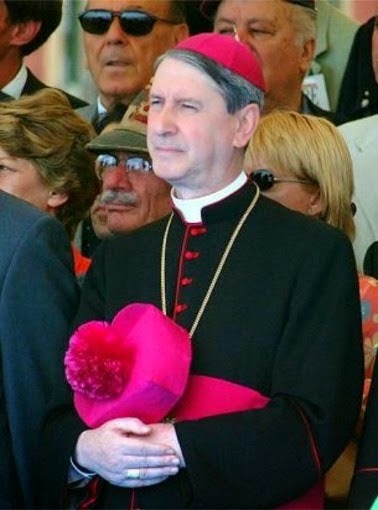 Bishop Mario Oliveri, formerly a member of the papal diplomatic corps, has been bishop of the diocese of Albenga-Imperia (population 168,200, Catholics 158,000 as of 2012) since 1990. "The Royal Catholic Church: Ruthless with heresy and sin, kind with the heretic and the sinner"
so long as her Divine Right remains intact." For our third post celebrating the centenary of Monsignor Robert Hugh Benson (October 19, 1914), some reflections from his Paradoxes of Catholicism (conferences and sermons preached mostly in New York in 1912 and in Rome in 1913, and published not long before his death). 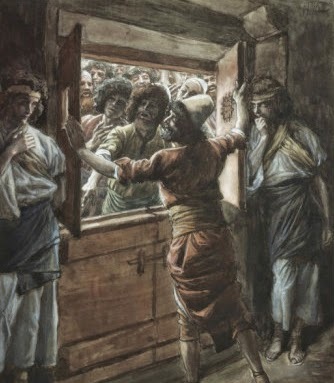 They are reflections on the apparent contradiction between our meek and sweet Lord and His holy People, the Church, described as unyielding and rigid -- shockingly, today, even by some Catholic pastors themselves, even at a Synod! This reflection, preached on a Palm Sunday, is perfect as a meditation on the feast of the upcoming Sunday, Our Lord Jesus Christ the King, and the Royal people we ourselves are in his Royal Bride, ruthless with sin, infinitely kind with the sinner. "Over half the Bishops (in the Synod) have already switched religion"
Alessandro Gnocchi, in his weekly piece for La Riscossa Cristiana in which he responds to letters he has received, calls our attention to this truly lamentable event that clearly shows where most of the Bishops and Cardinals are in terms of their understanding of the Catholic Faith and the immutability of doctrine. 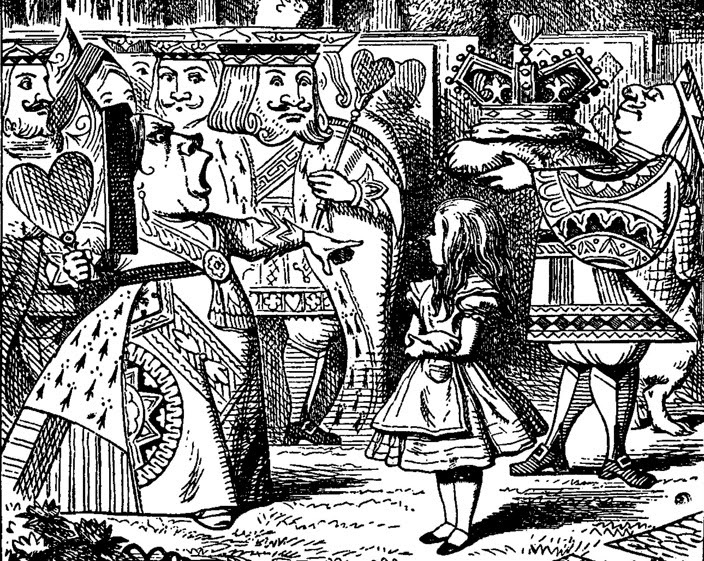 It also shows that most of our prelates have abandoned the principle of non-contradiction and live in a Church worthy to be a construction of Lewis Carroll. We are not only "back to the future". We have also gone "Through the Looking-Glass". "There was only a group of six or seven fanatics, somewhat aggressive, who didn't represent even 5% of the total [of the Synod Fathers]." 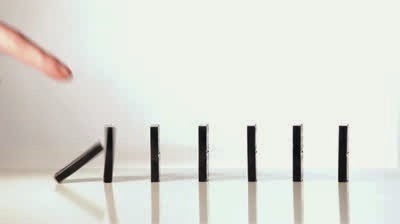 ... "If we don't open up Pandora's box, what is done is hiding the dirt under the rug." ... "Perhaps we missed saying, at the very least, with Pope Francis: 'who are we to judge gays?' 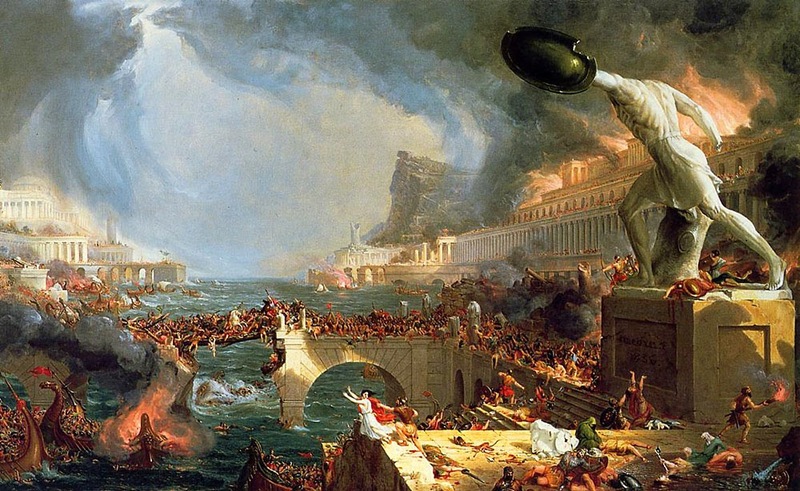 "
No, don't expect any insane theory, or a "heretical pope" argument, to salvage this. If the Pope endorses polygamy, including in its spread-out format as any kind of legitimacy of the "remarriage" of "divorced" individuals, with the redefinition of the dogmatic theology of one of the seven Sacraments, then Trent, Vatican I, and the entire edifice of Catholic claims of authority fall with it. 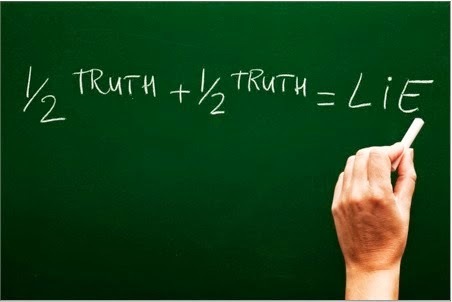 Catholic claims on the absolutely indissoluble Sacrament of Matrimony (1), from which spring forth the children who are Baptized (2), Confirmed (3), Ordained (4), hear confessions (5), celebrate Mass (6), confer Extreme Unction (7), and marry new couples (1 once again) are dogmatically strong and at the same time systematically fragile. They fall down, and the Papacy as it has always been understood falls with it. If divorce and remarriage are acceptable, in "specific circumstances" and after a "path of penance", then certainly Our Lord Jesus Christ can rightfully repudiate and divorce his newly-adulterous Catholic Bride. The two weeks of the 2014 Extraordinary Assembly of the Synod of Bishops "on the Family" and its aftermath (up to today) were the best in our existence in visits and pageviews: thank you all so much for your loyal readership! And there was a very interesting change in the list of top cities sending us visitors: for the first time ever, a city of non-native English speakers reached the second position in number of visitors, and two such cities were among the top 10. 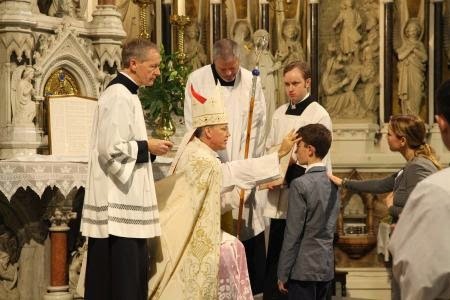 Last Sunday 11 children and one adult were confirmed in the Tridentine Rite by the Papal Nuncio, Archbishop Charles Brown in St Kevin's Church Harrington St, Dublin. Archbishop Brown is pictured confirming Rian Wood at the ceremony. - Let's end this delusion that 'mercy' began only now, after 2,000 years! Gądecki: "Had I not spoken up, the Synod would have ended up worse"
November 6: "All are Invited"
Walter Cardinal Kasper will receive a prestigious award from the Catholic University of America's theology school on 6 November, delivering a lecture there on the "theological background of the ecclesiological and ecumenical vision of Pope Francis." ¡ Bienvenidos a Siberia ! On the Footsteps of Fr. Calmel, O.P. 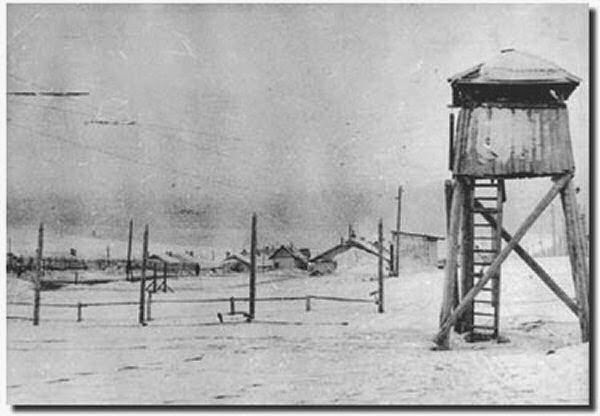 "The Mass, Prayer, the Rosary — nothing else can avail"
Persecution, he said, was coming. There had been a riot or two already. But persecution was not to be feared. It would no doubt cause apostasies, as it had always done, but these were deplorable only on account of the individual apostates. On the other hand, it would reassure the faithful; and purge out the half-hearted. 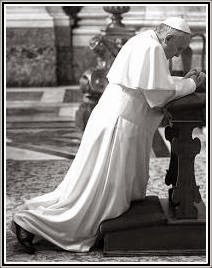 "For Francis, a resounding defeat: Traditionalists have won a huge victory." | "Even in 2015, it's hard for Francis to go much beyond this without risking schism." 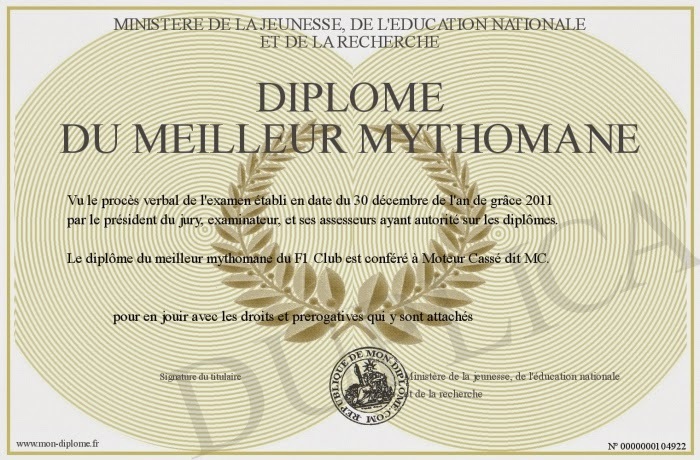 Professor Odon Vallet is an expert in the history of religions and civilizations and, since he is deemed a strong and radical "Progressive", he is a favorite in the French media to speak as a secular-friendly voice on Catholic issues. 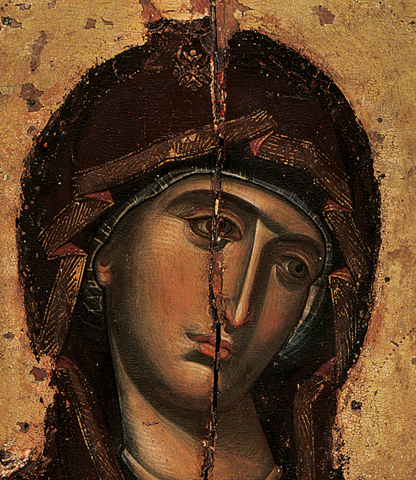 Other than the separation of morals from religion, and in particular from the teaching of the Church on certain great moral problems (such as contraception, abortion, sterilization, euthanasia...), another crucial point regarding the Moral Doctrine of the Church is that it is often thought that her teaching is out of fashion. Francis' final address to the Synod. This is our tentative translation done in a rush, so it has no official value whatsoever, just for the record (the references to past Church documents, however, come from the official translations). 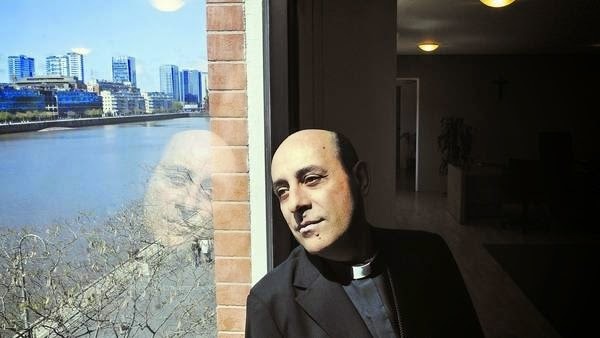 The paragraphs on "persons with homosexual orientation" (not "homosexuals", as in the partial relatio) in particular are absolutely different from the stunningly scandalous Forte-Spadaro paragraphs of the first relatio, and no reference is made in them for a "deeper" study in the upcoming year, as in the paragraphs on communion for "remarried divorcees". But not even like this they became part of the official text! It is a considerable setback for the revolutionaries, which they will certainly try to reverse in 2015. Important note: Paragraphs 52, 53 and 55 were rejected*, having not reached 2/3 of the Fathers for required approval (123 votes). "The general feeling is one of huge relief," says an influential professor at a Pontifical University. "On Thursday, at around noon, John Paul II operated a miracle at the Synod." Thank the Good Lord for smartphones and recording devices now available everywhere: if it hadn't been for them, Walter "Africans shut up" Kasper would have almost certainly ruined the livelihood, reputation, and integrity of a good man and excellent journalist. That is possibly as horrific as the things said by Kasper themselves, if not more. Just a quick question. As we all know now, Cardinal Kasper gave an interview which Ed Pentin of the Register and Zenit reported on in which he denigrated the African bishops. When the outrage ensued, he denied ever giving the interview and said he'd never said any of those things. Pentin, however, taped the interview. But here's my question. If he hadn't, Pentin's career would've been harmed. Possibly irreparably. Would Cardinal Kaspar have admitted to the interview or simply watched another man's life be possibly destroyed? - "such a day had never happened before, not even at Vatican II"
We are calling it "Blue Thursday" for the color of Our Lady -- and also the main color of the flag of Australia, the nation of Cardinal Pell, the first to rise up against the Baldisseri authoritarian manipulation. Rome. They say that a confrontation like this had never been seen before, perhaps not even at the Council. His Eminence Cardinal Walter Kasper spoke to me and two other journalists, one British, the other French, around 7.15pm on Tuesday as he left the Synod hall. Cardinal Burke against the media manipulation on the Synod. And very clear on everything else. The world likes Cardinal Raymond Leo Burke very little or not at all. And , if it is possible, the Church likes him even less than does the world. On the other hand, this 66-year-old American from Richland Center, Wisconsin, has done everything as a Catholic to successfully carry out his intent to set a fire under the consciences of Christians who are all too inclined to tepidity. The conclusions of the Synod's small groups. 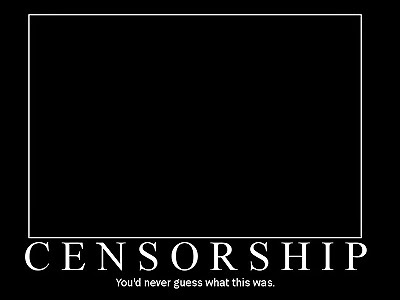 "An additional [act of] censorship, and the Synod Fathers rise up. 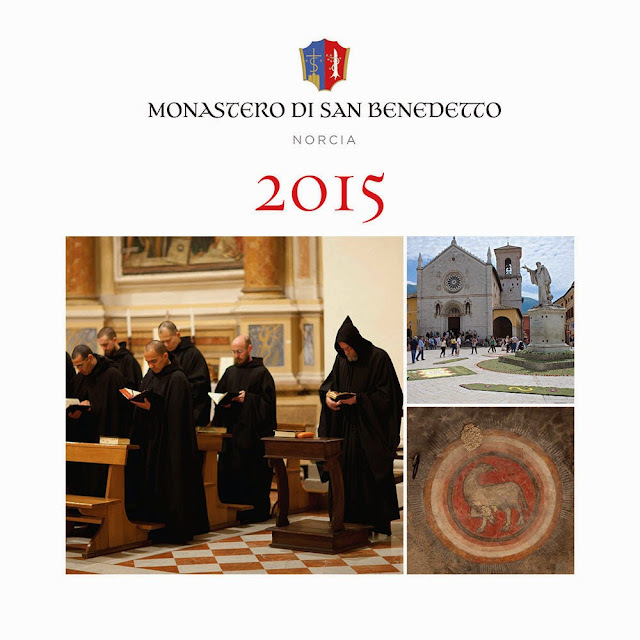 / The General Secretariat of the Synod announced the decision of not publishing the relationes of the Circuli Minores. Erdo took the floor, distancing himself from the relatio [post disceptationem] published under his name, and saying that, if that 'disceptatio' had been published, also those of the Circuli Minores, the commissions, had to be. His intervention was followed by numerous others in succession, with the same tone, underscored by thunderous applause. The Secretary of the Synod, Cardinal Baldisseri, looked at the Pope, as if searching for advice and light, and the Pope remained mute and extremely serious. Also mute remained the under-secretaries to the Synod, Fabene, Forte, Schönborn and Maradiaga [*Update: Maradiaga was away for 'Caritas business', and thus not present, according to a clarifying Tweet by Cardinal Napier from about 48 hours later]. Kasper was not present. At the end, Father Lombardi announced that the relationes of the Commissions will be made public." And, because of this collective revolt of the Synod majority, you are now able to read the conclusions below. The English-speaking groups are Anglicus A, B, and C.
Relatio - Circulus Anglicus "A"
"Synod Fathers under intense pressure from the Kasper Front to modify their views - or else"
It seems Walter Kasper's racist remarks on Africa and Africans have caused an understandable shock wave throughout the assembly. 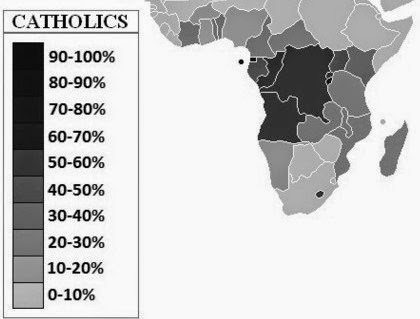 They reflect a racist, xenophobic, and anti-African mindset that has removed the Church in Africa from any participation in the Synodal administration and governance, or in the committee formed to help draft the final relatio. Other than that, Synod Fathers are being strongly pressured by the allies of the racist German cardinal, who are in the minority, to modify as little as possible the partial relatio: as Tosatti explains below, that was one of the main reasons why the racist manipulators did not want the addresses of the first week made public, they can now pressure the more fearful bishops to take 180-degree turns on what they said, and they can do it without losing face. Tosatti is too gentle to say exactly what kind of pressure is being applied, but we can be sure that, as they always do, the "Progressive Legion" have no scruples whatsoever in accomplishing what they deem necessary: they not only offer compensations to those who are weak for career "promotions", but they threaten, they blackmail, they shame, they lie, they deceive, they discriminate, they set continent against continent, nation against nation, cardinal against cardinal, bishop against bishop, they will go to the utmost consequences (even those we may consider absolutely unthinkable, and those we cannot even imagine) -- they are capable of absolutely anything, as long as they manage to accomplish their end: the birth of their "New Church of Worldliness". Erdo has already "outed" the official who wrote the section on gays, Monsignor [Archbishop] Bruno Forte, appointed by Pope Francis as the special secretary to the synod. 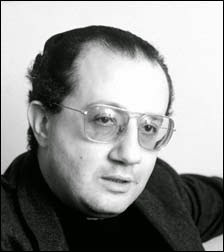 Forte is an Italian theologian known for pushing the pastoral envelope on dealing with people in "irregular" unions while staying true to Catholic doctrine. Pell: "Three quarters of Fathers who spoke voiced problems with Report"
[Pell says the relatio is] “tendentious and incomplete,”... an “incomplete resumé” of what the Synod Fathers had said it needed to be “enhanced and corrected”. De Mattei on the Synod Relatio: "The Need to Resist Heretical Tendencies"
Labels: Communion for "Remarried" Divorcees, de Mattei, Flashes from the 2014-2015 Synod, Kasper's Destruction of the Indissolubility of Marriage, Marriage, The "Gayspel"
Kasper, the Xenophobic Synod-Master: "Pope wants opening because he's got problems in his own family." "Africans? Nobody listens to them"
-Voice of the Family to Racist Cardinal: "Kasper must apologize"
The arrogance displayed by Walter Kasper in his interview granted to Edward Pentin (published today in Zenit) is so astounding that it is by itself a revelation that he is the great Master of the Synod. His words regarding the Bishops of Africa, in particular, are so offensive, unbelievably racist and xenophobic one can hardly understand how such a despicable man could claim to write anything on "mercy", when his words are filled with heresy and disdain for the great Bishops of Africa, who stand nearly alone in defense of Catholic doctrine (and for this reason are despised). But the future reserves an ironic response to the likes of Kasper and his minions in the Synod, in whose direction Pope Francis did not place one single African representative, not even in the ad hoc 6-men assistant committee: Africa is the demographic champion of the 21st century, and African Catholicism will one day make its true voice of faithfulness heard again. "The Counterfeit Synod" There's a problem with it. A Synod that's kind of a counterfeit? 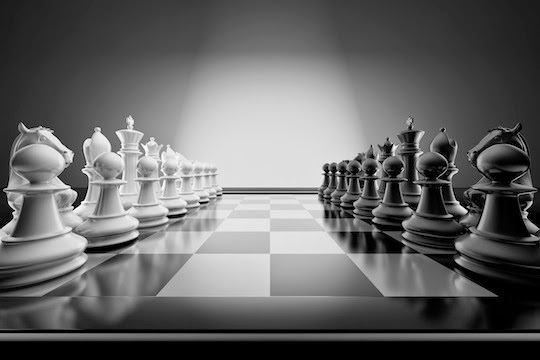 While it is true that the Church is not a democracy, and that one cannot go forward by majority coups, the faithful as a whole cannot be subjected to theological and doctrinal mini-coups. Just as nature, the Church does not appreciate leaps. when one has a Forte? The coincidence must be fortuitous, but on Monday, October 13, precisely on the very same day on which in the Italian political arena both the party of [Socialist prime-minister] Matteo Renzi as that of Silvio Berlusconi [the main "conservative" party] announced their will to legitimize homosexual unions, on the other bank of the Tiber the special secretary of the Synod on the Family, archbishop Bruno Forte, said that he also hoped for the same thing, because "it is an issue of civilization." 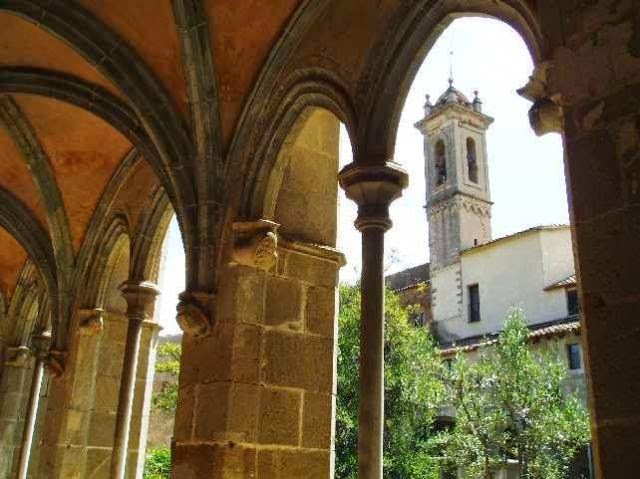 A Traditional Catholic Jewel in the Languedoc: the Abbey of Saint Mary of Lagrasse (Abbaye de Sainte-Marie de Lagrasse) of the Canons Regular of the Mother of God (Chanoines Réguliers de la Mère de Dieu), right outside Lagrasse, near Carcassone (Aude). From there come two items that fill us with hope in our difficult times for the Church and for Europe. Since the workings of the Synod still remain, for the first time in the 2,000-year-long history of councils and synods, completely censored, and the Fathers who want to can only freely express their opinion through leaks, Cardinal Gerhard Müller, Prefect of the Congregation for the Doctrine of the Faith (CDF), impelled by his duty, says what needs to be said - and then what he said is leaked, to bypass the censorship. 3 - Müller on Censorship: "I say what I must say"
A 6,000-word document, made available in the original Italian, and excellent English, French, German, Spanish translations immediately on early Monday Morning "summarizing" the views of the first week of the Synod that had ended on Friday evening, with details published on Saturday morning? 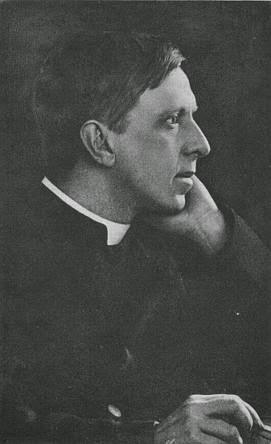 So in one full day, Sunday (or in 2 days, 48 hours, if all hours of Saturday are included, with no time for meals or sleep), the rapporteur and his secretaries gathered the views of all the Fathers, identified and separated those portions that had more widespread support and thus represented a truly Synodical opinion, wrote, and translated this 6,000-word report? Has the Vatican suddenly become the most efficient bureaucracy in the history of the universe? The Great Division - Wojtyła Nation to the Rescue. 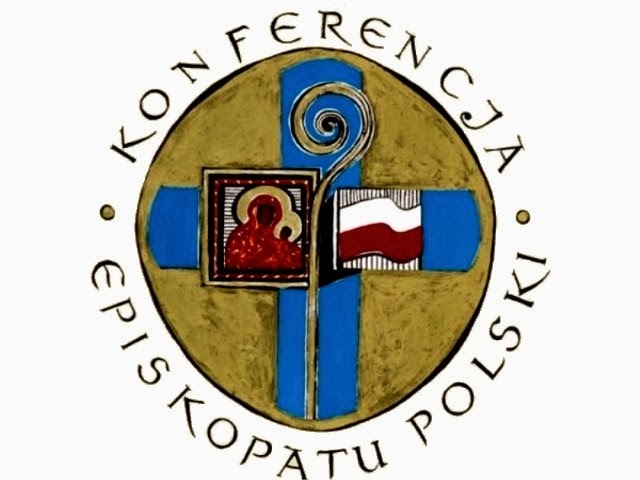 The document summarizing the first week of the synod is not acceptable to many bishops - so says Archbishop Stanislaw Gądecki. Cardinal on his own Report's paragraphs on homosexuality: "Ask him! I didn't write this, the author must know what he meant!" The upheaval in the manipulated and censored secret Synod Assembly is so great not even the rapporteur, Cardinal Peter Erdo, is able to vouch for what he signed and had published under his own name! Fallen men regularly present error as though it were something mysteriously deep and life giving. 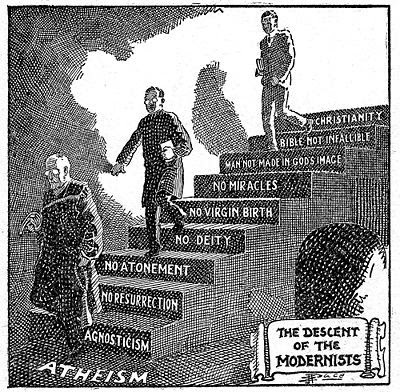 This is particularly true of their manner of promoting and accepting the broad set of errors that has coalesced since the late Middle Ages to form the dominant spirit of the world around us; the spirit of what we call “modernity”. ROME, 13 October 2014: An international coalition of pro-family groups has rejected the mid-way report of the Extraordinary Synod on the Family, calling it “a betrayal”. First Synod Report creates a New Gospel: Homosexual Orientation must be "valued" by Church; Homosexual Unions "mutual aid that constitute precious support in the life of the partners"
The Fraternity of Saint Joseph the Guardian (Fraternidad de San José Custodio - FSJC) was first mentioned by us some time ago. 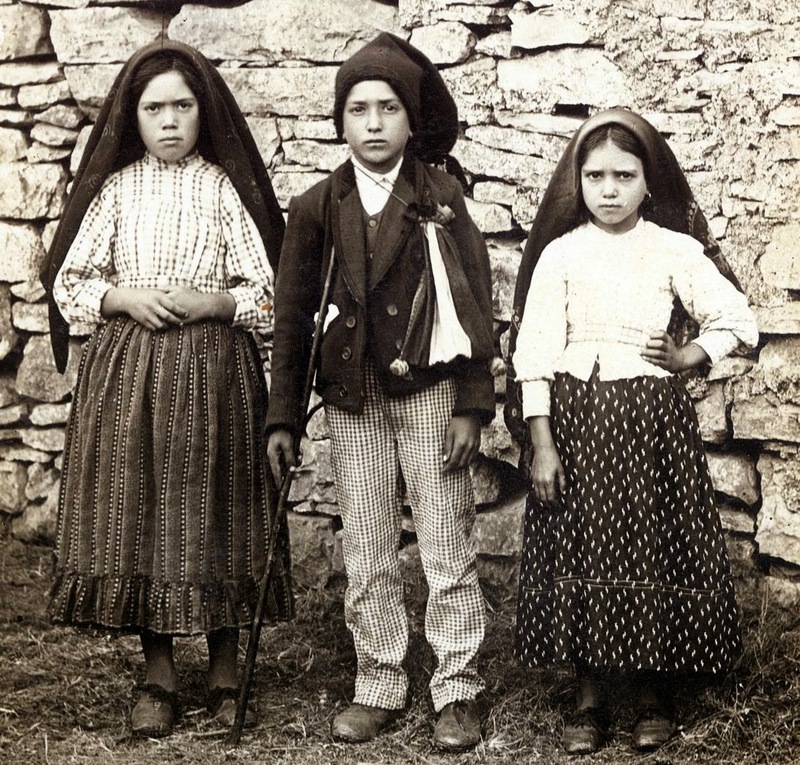 Its goal is remarkable: to bring workers from the Americas, that became a land of Christ and Mary through the blood and toil of thousands of European saints, martyrs, and missionaries, to work in the deserted European fields. 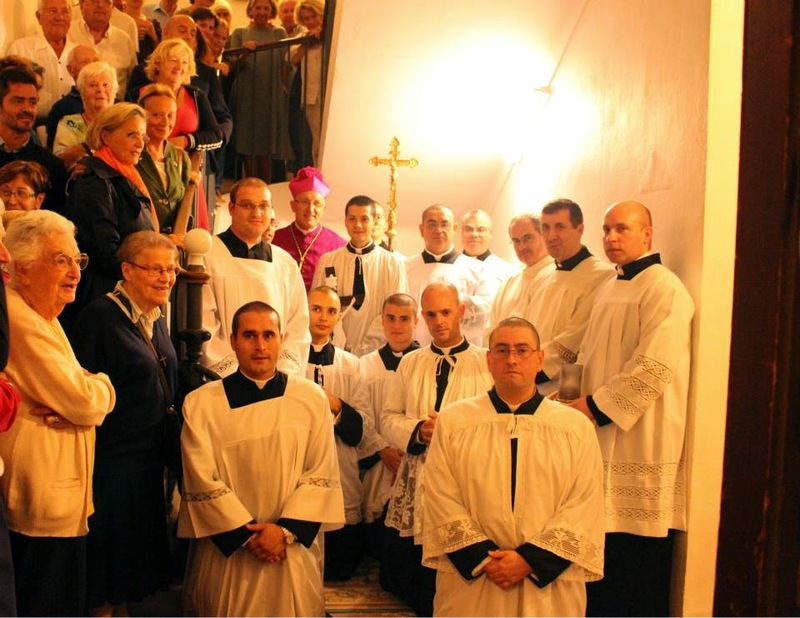 The FSJC's House of Formation in Bormes, Diocese of Fréjus-Toulon, France, officially opened last Sunday October 5 with a visit from His Excellency Bishop Dominique Rey. Solemn Vespers were chanted in his presence and thereafter he blessed the new seminary (using the 1953 benedictio novi seminarii). Further pictures of the ceremonies are available on Facebook. Cardinal Burke a pariah? Not for the Synod Fathers! 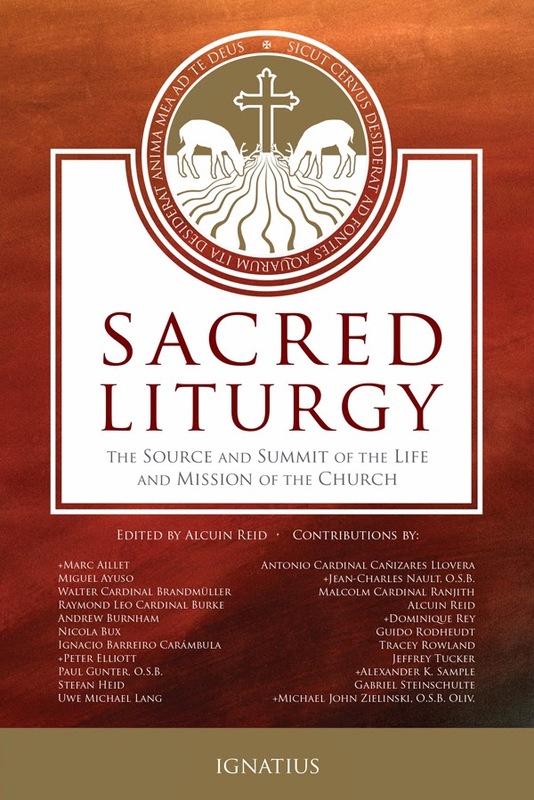 Cardinal Burke was among those elected by his fellow bishops of one of the three English-speaking circles (the Anglicus A) as moderatore (chairman) of the group to help in the writing of the group reports that make the final report. There were many "conservatives" elected in the different groups, including Cardinal Sarah, moderator for Gallicus (French-speaking) A, Abp. 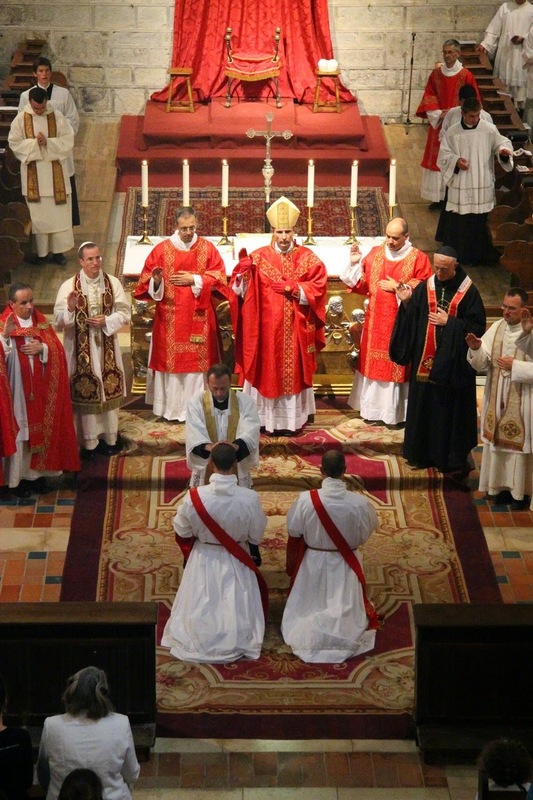 Léonard, relatore (rapporteur) for Gallicus B; Cardinal Bagnasco, moderator for Italicus B; Cardinal Robles Ortega, moderator for Ibericus (Spanish-speaking) A. So, what was the Pope's response to these surprising votes? secret of the sinner's cure." He had a good and Christian death - ultimately, that is all that matters in this vale of tears. Rest in Peace, Richard Collins, fellow Catholic blogger, and may Our Lord and His Most Gracious Mother grant peace and consolation to your loved ones who remain here. 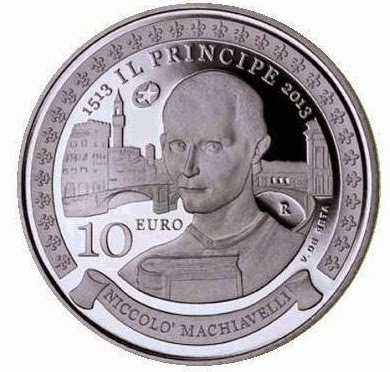 Now that four centuries have sped since a Ligurian first, under God's guidance, touched shores unknown beyond the Atlantic, the whole world is eager to celebrate the memory of the event, and glorify its author. Nor could a worthier reason be found where through zeal should be kindled. For the exploit is in itself the highest and grandest which any age has ever seen accomplished by man; and he who achieved it, for the greatness of his mind and heart, can be compared to but few in the history of humanity. Letter from a Reader in East Africa: "My Bishop Wept When He Read the Synod Summary"
We got this letter some hours ago, and asked this reader in Africa for his permission to post it. He just asked to have any information that could identify him or the diocese removed. 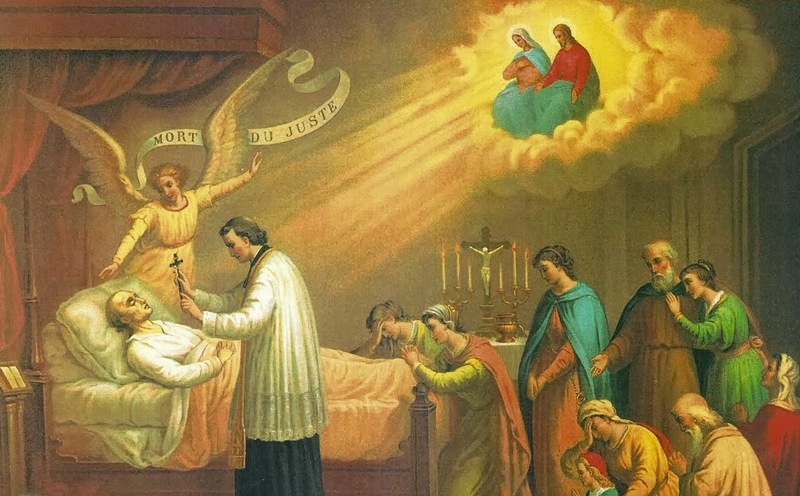 On Monday, November 3, there will be a Solemn High Requiem Mass (Extraordinary Form) at St. Odilo, National Shrine for the Poor Souls, in Berwyn, Illinois. The prefect of the Congregation for the Doctrine of the Faith, Cardinal Gerhard Müller, voiced his disagreement with the censorship imposed on the speeches from participants at the Synod. A bishop: Kasper’s proposal is a medicine that is worse than the disease. There is a lot of confusion in the Church about the Synod starting today and that’s going to hold discussions about communion to the divorced and remarried. Many believers are disorientated about the “revolutionary” path indicated by Cardinal Kasper, who was asked by Pope Francis to launch the novelty at the February Consistory and is always saying that he speaks in the name of Pope Francis (”I spoke to the Pope. We agreed on everything.”). An overwhelming number of cardinals are in total disagreement with him. So now what’s going to happen? Could it really be true that the Pope may embark on a way that upsets what the Church has constantly taught for two thousand years, based on the words of Jesus Himself and the Pauline texts? 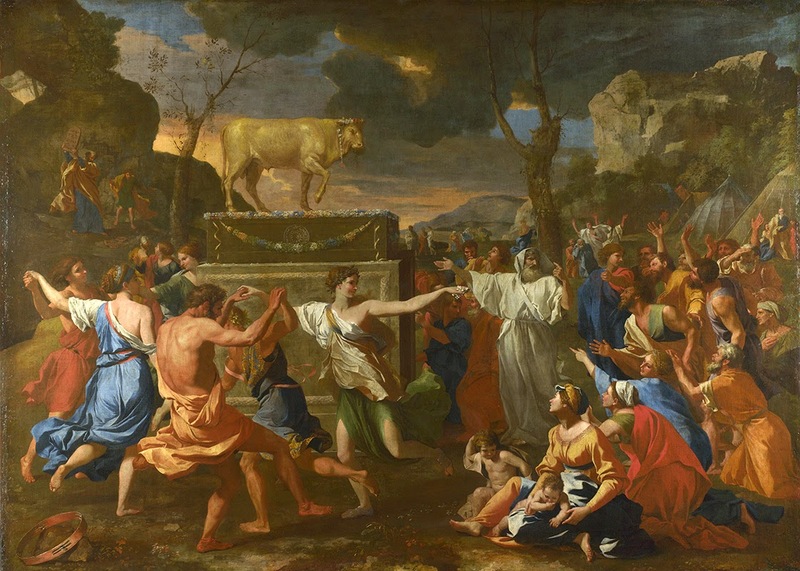 Is it possible to challenge the commandments, the Gospel and the Sacraments? Some think that the popes can do it and the mass-media feeds this expectation. In reality it is not like this at all since the Church belongs to Christ and not the popes, who are only temporary administrators and not masters – as Benedict XVI used to say repeatedly. They are subject to the law of God and the Word of God and must serve the Lord by protecting the “depositum fidei” entrusted to them. They cannot take possession of it or change it according to their own personal ideas. 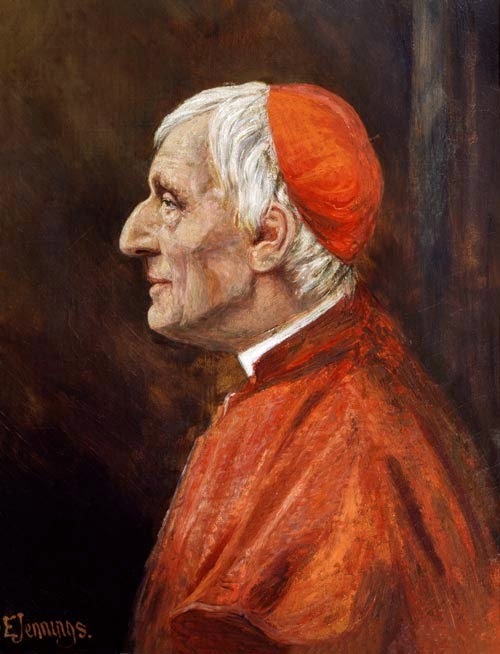 Blessed John Henry Newman: "I have resisted to the best of my powers the spirit of liberalism in religion." In 2001, the Nobel [Peace Prize] was denied to Pope John Paul II due to an impediment made public by the Lutheran Bishop of Oslo, Gunnar Staalseth, member of the committee. No prize to a pope – he said – until the Church has brought up to date its magisterium on contraception. 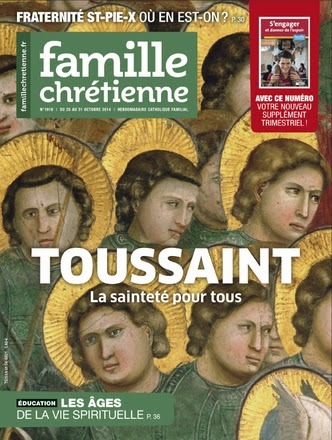 "Synod: Most Are Against Kasper"
The decision to not publish the texts of the speeches of those participating in the Synod on the Family is certainly not having a positive effect on clarity of information, and is contributing to a situation that is, so to speak, mystifying. The general public, including both Catholics and non-Catholics., are not being informed in a clear and thorough way. All we can say is that after the first three days, in which more than one hundred speeches have been made, a picture of what is going on appears anything but clear.